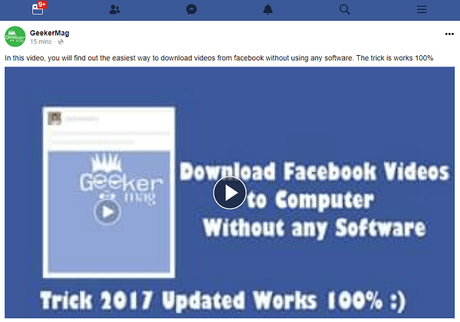 Lots of Facebook fans want to know the easiest most straightforward way on how to download Facebook Videos. So this post is dedicated to all those users. 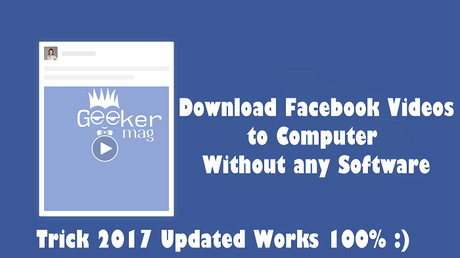 Facebook is one of the famous social networking websites. You can get connected with your friends, loved ones and the people you know. Apart from this, it offers users variety of features as you can share photos, videos, play games and lots more. There are lots of users who spend most of the time watching videos on Facebook. 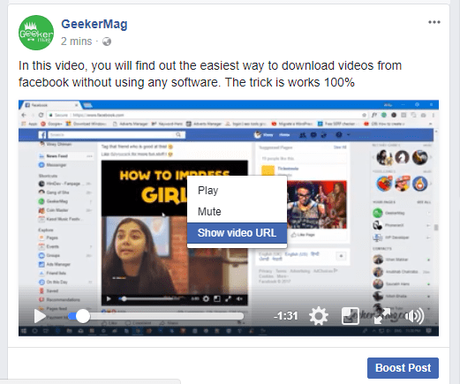 Officially there is no way or instructions on how to download videos from Facebook to the computer, and due to this reason lots of users start looking for online and offline facebook videos downloader out of which most of them are spammy full of ads. 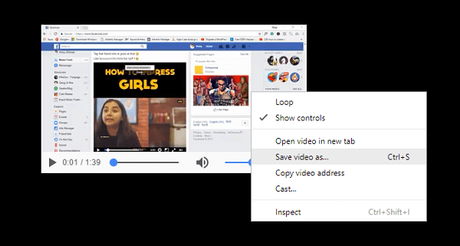 The good thing is there is a way to download facebook videos without any software. And in this post, I’m going to share with you the same trick so that you can avoid using those scammy tools. 1. 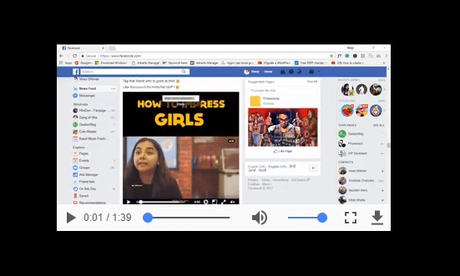 In the Facebook timeline scroll down to a video which you want to download. At the top side of the video player, a bar will appear with the address of video in it. Just copy the video URL from there. 4. In the video address, you need to replace www with m and hit Enter. You need to play a video for 2-3 seconds and then pause the video. 11. 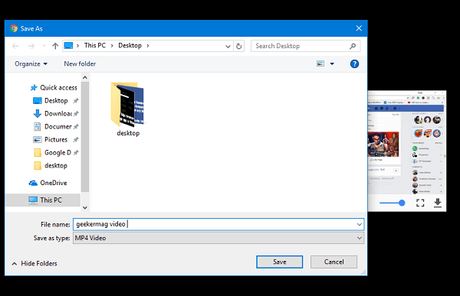 Rename the video and select the location where you want to save it on your computer. 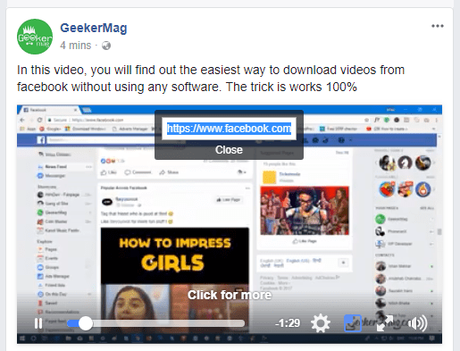 I hope you find this trick on how to download Facebook videos without any software. Let me know your thoughts in the comments.